20 years. 19980502. in memory of hide. welcome to jrocker.com, the ultimate japanese rock music ring. the ring gathers all websites about japanese rock music. this website itself also contains news and information about many featured jrock bands and artists, which serves as both an introduction to jrock starters and news update for other jrockers. if you have a jrock-related homepage but has not yet submitted to jrocker.com, the largest ring in the cyber jrock community, please join us now! Katrin's and Chris' X Japan homepage -- a longstanding X website made by Katrin and Chris. it is a joint effort by Katrin from Germany and Chris from the United States. while it has not been updated since April of 2014, it has a wealth of information about the band. 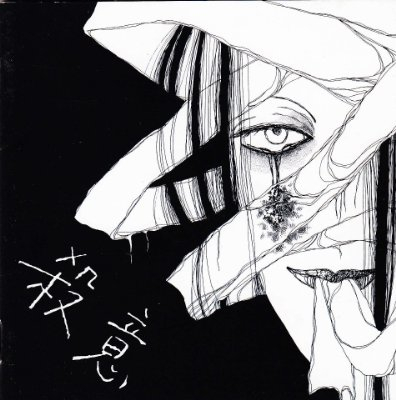 satsui was the second album of Gilles de Rais released under Yoshiki's EXTASY RECORD in 1992. it topped the indies album chart in 1992, with sales over 20,000 copies. Gilles de Rais was a visual band formed in 1989, major debuted in 1993, and disbanded in 1995. members included JOE on vocal, JACK on guitar, DEE on bass, and SINN on drums. best viewed under 1024x768 resolution.